Who was Jesus? Why does it matter? 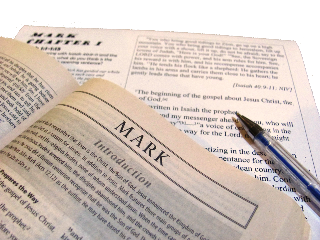 In our English Bible Club we read through parts of the Bible in English, such as the Gospel According to Mark, an eye-witness account of the life, teaching and significance of Jesus Christ. We read about who Jesus is and what he did, and see how he is God’s special king, the Christ. The English Bible Club is a free activity organised by WPC Belconnen. Especially for international students, visiting scholars from overseas, and also migrants. Come and practise English and learn about Christianity at the same time. Anyone is welcome join this activity! You don’t have to be a Christian to join us. Bring all your questions! at the Australian National University (ANU). Please contact us for the time and exact location.